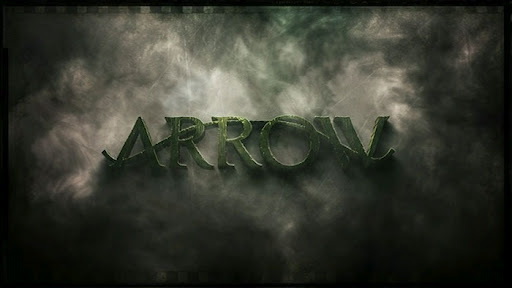 Back of the Head: Arrow 1x14 - "The Odyssey"
"Oliver. Suddenly everything about you just became so incredibly clear." Felicity: "I'm guessing 'how?' and 'why?' are Oliver Queen's least favorite questions." Diggle: "Yeah, well, there's also 'when?' and 'where?' he's not too fond of." "The Odyssey" opened with the most jaw-dropping 60 seconds the show has slammed us with thus far. The Hood has Moira Queen dead to rights with an arrow pointed at her heart. Moira pleads with his heart by begging on her knees to spare her life on behalf of her son and daughter. The Hood lets down his guard and Moira suddenly swings around with a gun and puts a bullet in the Hood's chest. That was the most stunning act Moira has ever done, and what's amazing is how later, Oliver is totally on her side on the matter. He figures she was in the right to pull a gun on him, how was she to know? Oliver refuses to pursue investigating his mother's alleged guilt and complicity in Walter's disappearance, his father's death, and the mystery surrounding The List. At the end of the day, vigilante, killer, hero, Oliver Queen's a mama's boy. "Of all creatures that breathe and move upon the Earth, nothing is bred that is weaker than man." Oliver decides he can't leave The Island without rescuing Yao Fei, but he gets captured by Fryers, who is pretty confused as to how Oliver is still alive when he saw Yao Fei "kill" him with the Million Dollar Dream and throw him off a cliff. Despite Slade's threats that he'd leave in three hours whether Oliver's back with Yao Fei or not, Slade couldn't abandon his new student, or maybe he just wanted a crack at revenge against his old pal Wintergreen. Deathstroke vs. Deathstroke ended with Slade finishing off Wintergreen with the ol' sword in the eye. Later, Oliver shows he did learn a thing or two when he performed the gun-disarm trick Slade taught him on a soldier. But this younger Oliver isn't yet a killer. In the end, Slade and Oliver remain stuck on The Island with Fryers and his men somehow unable to locate the crashed airplane remains they're camped out in. Maybe the Smoke Monster is keeping Fryers at bay. Back in present day, Oliver survives a heart attack scare and awakens as scruffy and self-righteously stubborn as ever. Felicity spent her downtime in the Arrow Cave upgrading their network and systems and hacking the police crime lab to have Oliver's blood sample destroyed, but she turns down Oliver's offer of regular membership in the Arrow League. She's in only as far as finding Walter, she doesn't want to be Chloe Sullivan running Watchtower. It's clear Diggle enjoys having someone smart and reasonable to talk to; female doesn't hurt either. We learn of some bad stuff Diggle did in Afganistan as well, being forced to kill a child to protect a Shah he knows is "a human piece of garbage" because that was his job. Felicity raises the moral and ethical questions about killing that is at the heart of this series. Is Oliver a bad man because he kills or is he good because of who he kills? The best episode of Arrow so far ends with Oliver right back to normal, lying to his mom as his mom lies to him and pretending he's not in horrible pain from his gunshot wound as Moira hugs him. Such a mama's boy.